Whether you’re looking to monitor game for hunting purposes or to get a shot of BigFoot, an outdoor security camera is one of the best ways to keep tabs on what’s happening on your property. 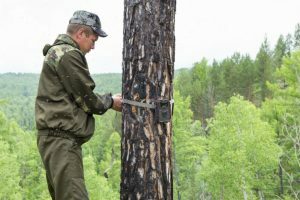 Many people also choose to use trail cameras for security around their home, as it enables them to take pictures of any kind of perceived threat. This is because trail cameras work with motion-activated detection technology such as Infrared (IR) and Passive Infrared (PIR). A device that is set up correctly will take photographs or video of any moving object in the vicinity, depending on the exact specs of the camera. 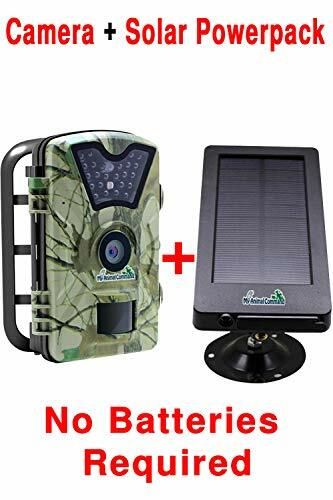 The My Animal Command trail camera stands out from other wireless outdoor security cameras is because it comes with its own solar panel. This solar power system enables the device to run completely independently for long periods. You can choose to power the product using AA batteries, but it’s not necessary. According to the listed specifications, using solar, the battery power can last for up to six months. This surveillance machine can also capture 12MP of images and video in HD, which is a considerably higher image quality compared to other similar products. This means that it is a powerful trail camera solar panel combination. Not only can you use it to take quality footage but you can also leave it for extended periods of time without having to keep changing the batteries. The machine also comes with a variety of settings that can help you manage the power usage of the device, from changing the time set to take footage (night or day) or altering the amount of time it takes for the device to resume taking images after sensing movement. With a handy strap and mounting ring, you have a range of options as to how to secure it. Furthermore, since it has a waterproof rating of IP66, you don’t have to worry about it getting wet. As a solar powered trail camera, this is definitely a distinct advantage. While the product might be mainly marketed as one for tracking outdoor game, this device is definitely a prime option if you’re looking for trail cameras for home security purposes. This is because the same features apply to any kind of intruder as they do to animals. 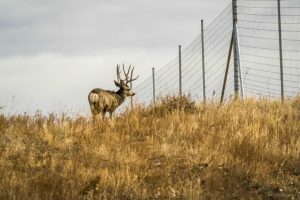 This means you’ll get all the same benefits from using it to man the perimeter of your house as you would to keep track of deer or other game. There is, of course, the risk that these devices could be damaged or stolen. With this in mind, make sure to secure them in a place that isn’t easy to see. 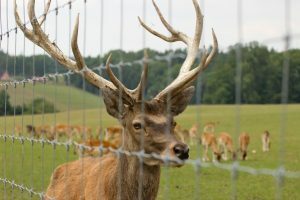 Unfortunately, unlike a deer which is most likely oblivious to any kind of surveillance, a human intruder can intentionally break or damage the machine to stop surveillance. You will want to think carefully about where to put these devices. Ideally, you want to make sure that you’re aligned with the range of the camera when it comes to taking footage. In other words, it’s important to set the camera up at strategic locations where any points of entry (and the potential intruder) are in clear view. 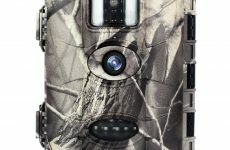 As the camera operates in all kinds of weather, it really is a decent choice for those looking for trail cameras for security. All the same waterproof, dustproof and shockproof benefits apply, no matter what you’re looking at! 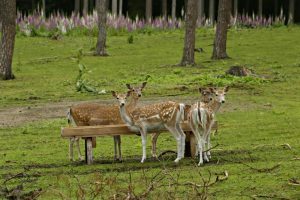 If you’re a hunter or even just a wildlife enthusiast, it’s important to keep an eye on the number of game in and around your property for both census and pre-scouting purposes. 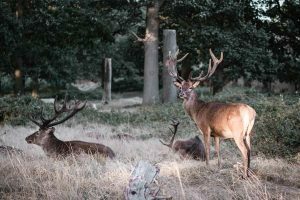 Because the device can take high-quality images and video with the addition of crisp sound quality, you’ll be able to get a good look at the animals you’re wanting to monitor. Even at night, the Auto IR filter means that quality images and video can be taken without a harsh flash that might also scare the animal away. 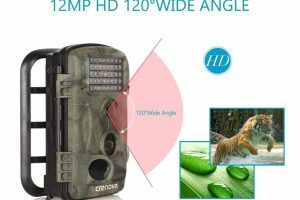 As a model that some might argue is the best trail camera for home security, you also have the benefit of the 2.4 LCD color screen. With better viewing capabilities, editing and selecting pictures or videos is so much easier since you don’t need to upload them to your computer first. With a 32GB SD card, you can also keep a lot of data on the machine before you need to upload its contents. This is helpful if you’re monitoring an area that is further away and you don’t get to that often. A fast sensor and wide detection range mean you won’t miss a thing. The device features 0.5s trigger time and can pick up even small animal movements with a 90 degree PIR sensing angle. Once triggered, three shots will be taken. 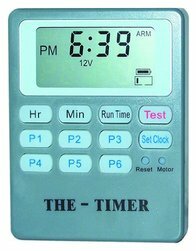 The time-lapse mode can also be used to maximize the power usage of this device. Color LCD screen: editing unwanted pics is so much easier with the use of a screen! 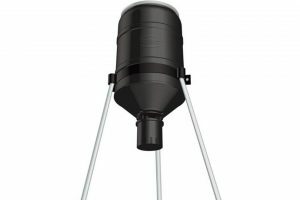 The obvious differentiator of this product is the solar pack which powers it. This nifty feature changes the way that you use the device. Instead of having to recharge and replenish batteries (which you can also do if you want to), you can now rely on up to 6 months worth of battery power from the sun. This is an incredible stand out feature, also because of the lightweight and weatherproof design of the solar pack itself. As we mentioned above, not all trail cameras for security have the same image quality. So to find one that can provide 12MP of HD images is impressive. 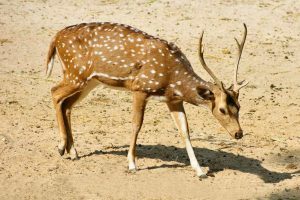 Low-quality images just don’t cut it anymore, and with the benefit of sound, you can also get a true idea of the kind of animal (or otherwise) that is feeding or moving in and around the place where the device has been set up. Being able to take decent footage is one thing. Being able to view and edit pics on the go, however, adds a whole new dimension to taking pictures and videos. For example, you can do a trial set up of the camera on one day or night. The next day you would be able to go through the pictures on site and get a good idea of how the camera is functioning without having to take it all the way to where your laptop is and upload everything first! In addition to the range of features available, you can also modify the settings of the machine considerably to maximize the power usage of the device. For example, you can change settings that alter the amount of time it takes to take another picture after the device has been triggered. This helps to avoid taking unnecessary photographs of the same animal/object. 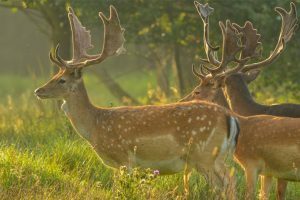 With a time-lapse mode, you could also create an interesting collection of pictures that will give you a more expansive view of the movement of an animal or object. It’s fairly simple to take photographs during the day. However, at night it can be a different story. Since you don’t want to use distracting (or revealing) flashes to capture night footage, the device uses PIR technology. This ensures you can still take high-quality images in the dark. You will find it especially helpful in the case where you’re using trail cameras for security reasons! There’s no doubt that this solar powered outdoor security camera is a solid device with all the right features when it comes to a machine that is going to be outdoors for long periods of time. The high-quality image display and capture is impressive, and with all the relevant motion tracking features in place, it is perfectly geared towards both game monitoring and home security spy camera applications.